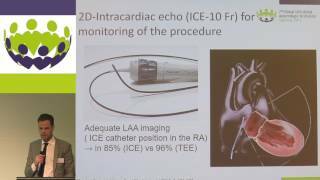 Sergio Berti - 3rd Global LAAO Summit: Can ICE be routinely used as imaging modality for LAA Occlusion? Can ICE be routinely used as imaging modality for LAA Occlusion? Many physicians want to use ICE instread of TOE. Can this be done safely? If so, what are the steps to ensure a safe and successful implant using ICE.